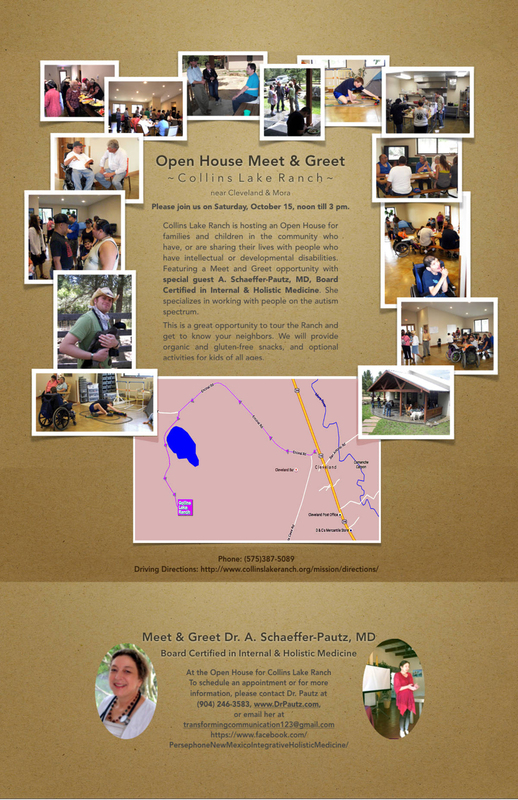 Dr. Pautz visits the Collins Lake Ranch when in New Mexico and has a working relationship with this institution. She is involved in activities with the institution. This is a WONDERFUL place to live as an autistic individual up in the New Mexico mountains, by a lake, surrounded by nature and wild life, chickens, horses, 2 watch dogs, and many more. Glen Carlsberg is doing an exquisite job in presenting the institution and in the way he interacts with the residents.